A MIT math professor Edward Thorp was always interested in building the strategies for successful gambling. As a gifted mathematician with wide range of knowledge about statistic and other sciences, together with his friend dr. Shannon, he was able to make a computer device for predicting the casino outcomes. They used to travel to Las Vegas every weekend, trying to improve their systems. He was also interested in horse races. Among other things, Edward Thorp is an author of a book 'Beat the Dealer', where he describes his Blackjack strategy. It was a card counting system based on the mathematics, and it really worked. There were lots of other counting systems since, but he seriously developed the first one. Casino owners weren't so happy about his work as players were. They even tried to change the rules of a game, unsuccessfully. The only thing they could do was to put four decks of cards instead of one, to increase their odds. Thorp had lots of help from his colleagues, experts on different fields of math and research, like William Zemba and Donald Hausch. 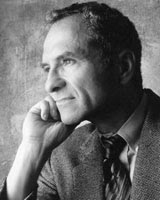 Edward Thorp wrote numerous books and articles about the subject, and his strategies have solid foundations. Afterwards he applied his theories on the market, successfully again. The first computer he developed with his friend Shannon is illegal in casinos today, and it is the best proof of the fact it does give a player some advantages.